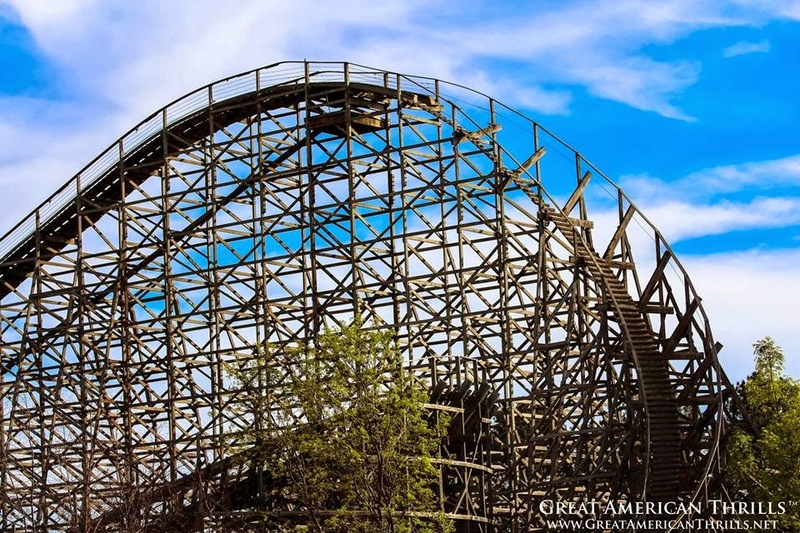 Roar, Six Flags Discovery Kingdom's signature wooden coaster, has gotten pretty rough over the years. 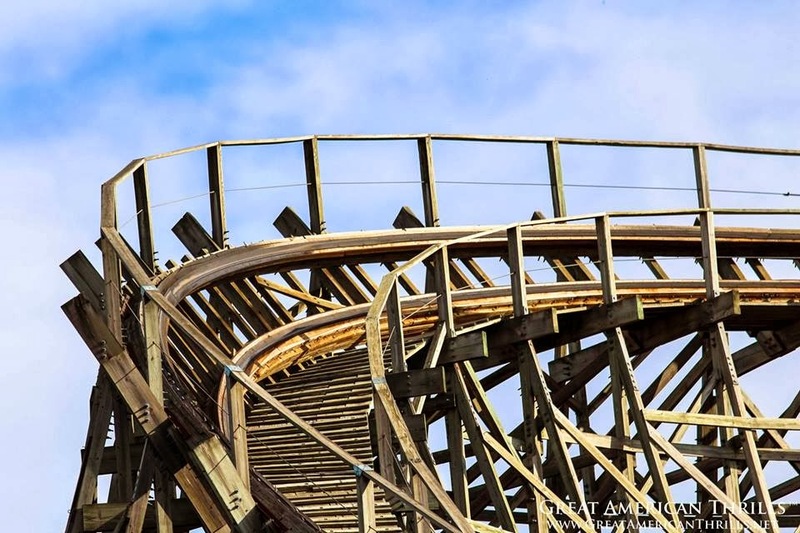 Roar opened in 1999 when it delivered quite a smooth, fast ride. As of recent however Roar has delivering what could be described as riding on square wheels and hitting constant pot holes. 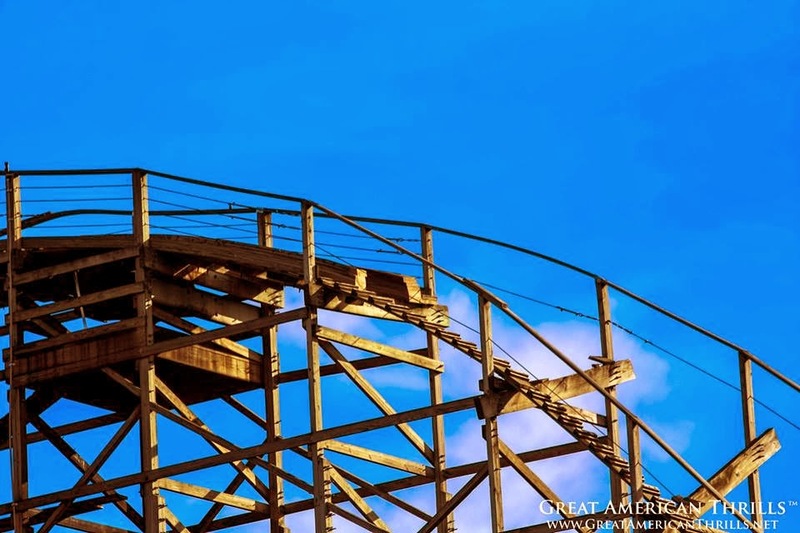 It almost seemed as though Roar and Grizzly switched places for being a rough wooden coaster (Grizzly has been receiving track repairs since 2009, thus improving its condition). This ride was in pretty bad shape and we could only ride it once per visit (not to mention, bracing ourselves for those rough spots). 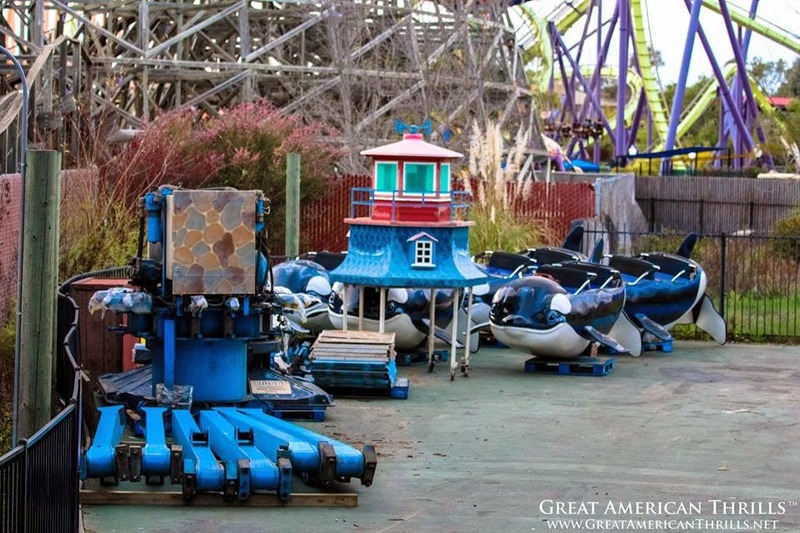 Our site partner, Great American Thrills, was at SFDK over the weekend and noticed that something was up with Roar. 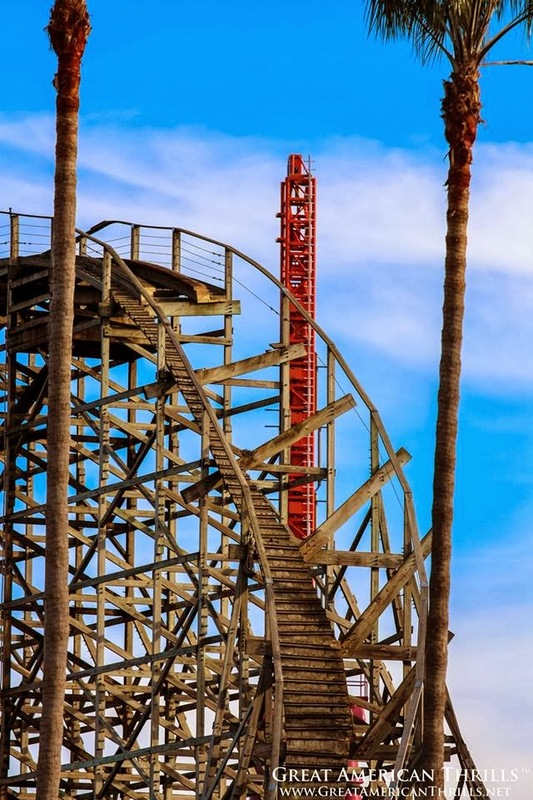 Since SFDK is now open year round, this means that rides will close for annual maintenance for a short moment. 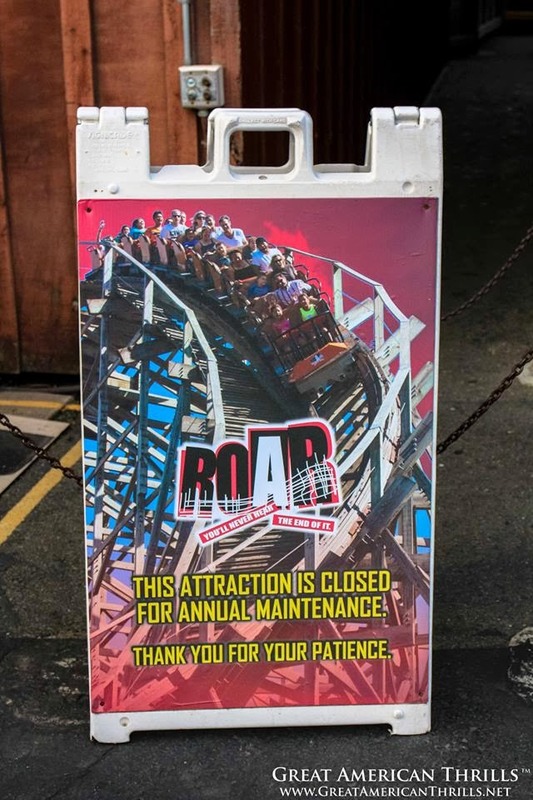 There is something a little more than routine annual maintenance going on over at Roar however. Let's take a look at Roar's first drop. Does anything look a bit different? 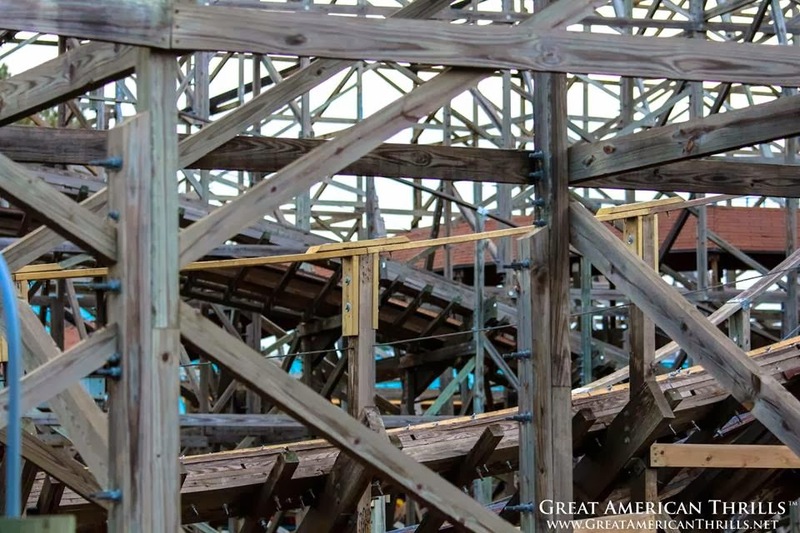 Roar is undergoing some extensive rehab and the first drop has been completely stripped of its wooden laminate rails. This area was notorious for jolting riders, especially at the bottom of the initial drop. This is a spot where riders are going to remember their experience. Unfortunately, the sharp jolt up the back becomes the ride's highlight in its current state prior to this repair work. Let's take a look at what else has been done. Some other happenings at the park include some prep work for the new for 2014 Tsunami Soaker. 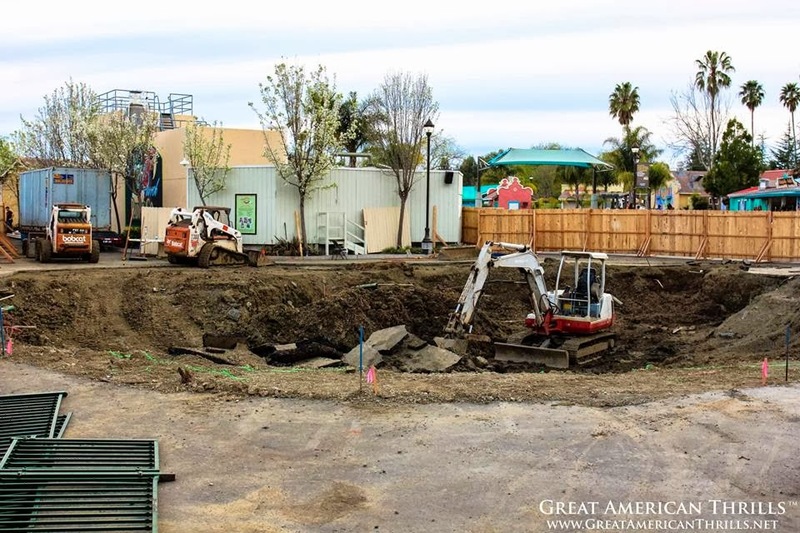 While there is not much to see yet, ground work is under way. And here's Wave Jumper, dismantled. This sat where Tsunami Soaker will be situated.